Many years ago I established a school of 75 Boezeman’s Australian Rainbowfish (Melanotaenia boesemani) at the Bronx Zoo. The exhibit, which they shared with mangrove snakes, land crabs and crayfishes, made for a stunning display. And although the building also housed proboscis monkeys, marsh crocodiles, hornbills and other impressive beasts, the brilliantly-colored Rainbowfishes drew a great deal of attention from visitors. But many keepers become disappointed when, after a time, their fishes’ fading colors do a disservice to the “rainbow” part of their name. Based on experience with related species, I’ve always provided my Rainbowfishes with highly varied diets, in which insects were heavily featured. Those under my care have usually retained their bright colors, and breeding has been consistent. A recent study that examined the natural diet of wild Rainbowfishes seems to bear this out, and has important implications for the care of other species as well. My lifelong observations of captive and free-living fishes have led me to conclude that land-dwelling insects play an important role in the diets of many freshwater fishes. 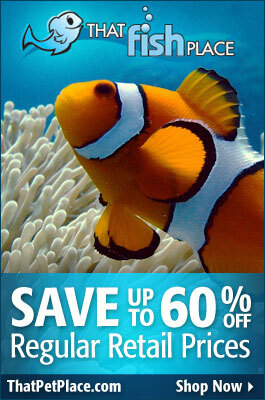 As anyone with a pool or outdoor pond can imagine, untold numbers find their way into fresh and marine waters each day. In 2009, the research of National Oceanographic and Atmospheric Administration biologists revealed that terrestrial insects comprise up to 100% of the diets of some US fish species. You can read more about this topic in the articles linked below. A recent study, highlighted by the European Zoo Nutrition Center, established that land-dwelling insects comprise 40% of the diet of wild Australian Rainbowfishes…more than any other food group. Aquatic crustaceans were of nearly equal importance (37% of their intake), while algae and seeds were consumed in small quantities (5%). The researchers emphasized that the diet varied among several species, and in accordance with the season and habitat. The general trends, however, were clear. When maintained properly, most of the commonly-kept Rainbowfishes eagerly gobble up just about any food that comes their way. And, having adapted to harsh natural environments, they are usually able to grow and remain vigorous on less-than-ideal diets. However, their color suffers…indeed, I’ve seen males in private and public collections that were so dull that they appeared to be of a different species. Commercial “color flakes” will help, but are not entirely effective. Breeding will also be curtailed if key nutrients are missing from the diet. 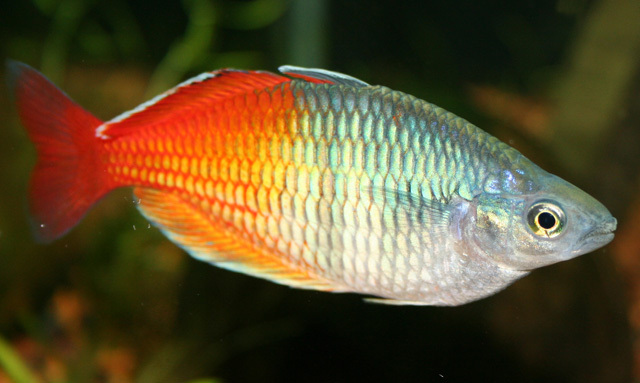 For Boezeman’s Australian Rainbowfishes and similar species, I suggest a highly-varied diet based on small, whole invertebrates. 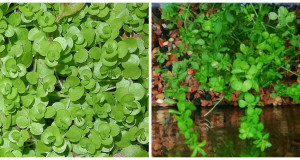 Whenever possible, but at least 2-3 times weekly, offer live daphnia, mosquito larvae, enriched brine shrimp, blood worms, glass worms, blackworms, crushed snails and similar commercially-available invertebrates. Please see the article linked below for further information on these and similar foods. I have always relied upon wild-caught insects as food for many of the creatures under my care in zoos and at home. 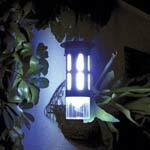 Moths, crane flies, beetles and others can easily be collected around outdoor lights, and a variety of commercial and home-made traps are very effective. Sweeping a net through tall grass will quickly yield a vast assortment of leaf hoppers, ants, flies and other tiny insects (all fascinating in their own right). Larger insects can be frozen and crushed prior to use. Your Rainbowfishes enthusiastic reactions to these and other natural foods will leave no doubt as to their value! Please see the articles linked below for detailed information on trapping and collecting small insects. Canned invertebrates marketed for captive reptiles offer an excellent means of supplementing the diets of Rainbowfishes (I rinse well before using). Zoo Med’s Canned Shrimp is one of the few products that contains freshwater (as opposed to marine) shrimp, and as such may be especially valuable. Freeze-dried shrimp, daphnia and similar foods are also relished. 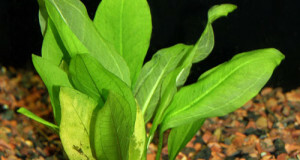 Frozen blood worms and other freshwater and marine invertebrates should also be used to vary the diet. The Bug Napper is an excellent insect trap that will simplify the collection of moths, midges, beetles and other flying insects (please see photo). Please check out my posts on Twitter and Facebook. Each day, I highlight breaking research, conservation news and interesting stories concerning just about every type of animal imaginable.